“Paint what you love” -probably the best advice I was given many years ago. 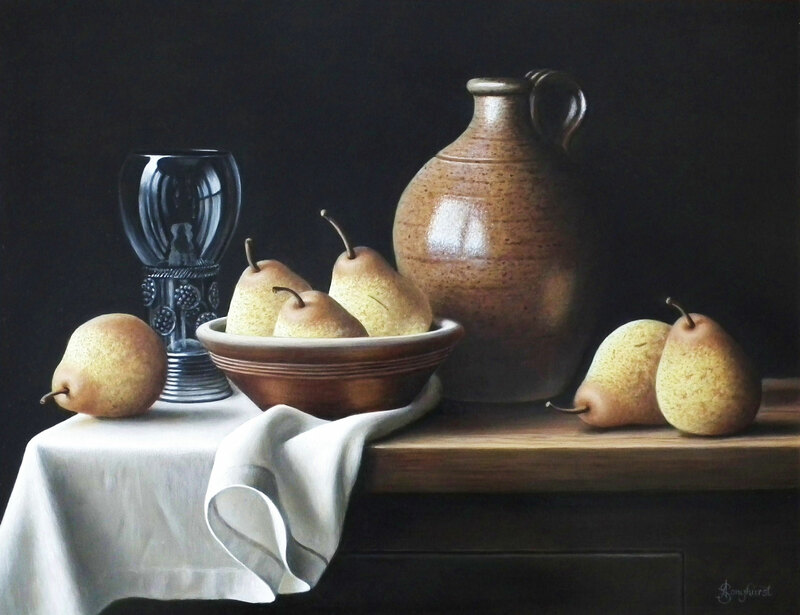 I have long been intrigued by the various metal,glass and ceramic vessels and the rich fabrics depicted in the paintings of the Dutch Masters, and over the years I have acquired a collection of objects to paint from antique shops, charity shops, online auctions and market stalls. Many of them are centuries old, still surviving long after their makers, and will still be valued by future generations. In contrast, the fruit and other perishables which I paint with them have usually deteriorated by the time the painting is finished.